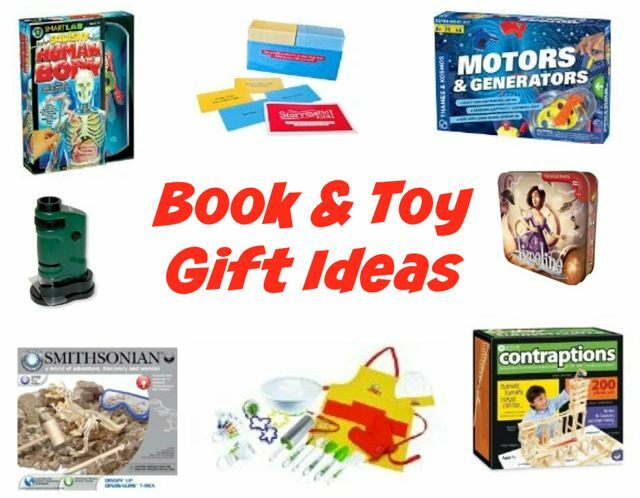 I love to give books as presents to the special children in my life, and often I try to go one step further and pair a book or two with a similarly themed toy to create an educational book and toy gift combination. The toy helps to spark the child's interest in a new subject and then, when they are captivated enough to want to find out more, they can turn to the book to extend their knowledge. Ultimately it may well be the book which is the more enduring part of the present, once the novelty of the toy has worn off. I like to base my book and toy gift ideas on particular domains of learning, such as the body, building things or history. The child can be quickly sucked into this new topic and explore it in a multi-sensory way, not only through listening and reading about it, but also through hands-on play. The more they play with the toy, the more interested they are in the subject and so the more they want to read about it. 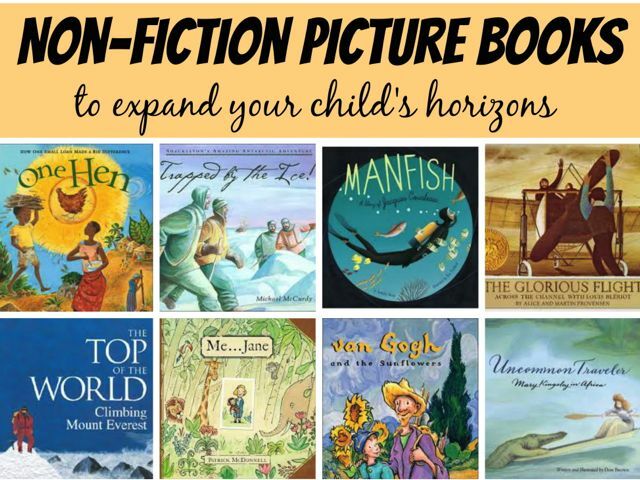 A great way to encourage your young reader to read more! Below you can find some of my favourite book and toy gift ideas for children. In each case I have suggested two books in addition to a toy which perfectly compliments the book choices. The Usborne Complete Book of the Microscope offers great suggestions for things your child can view under a microscope, from cheek cells to onion skin and household dust. It includes tips on how to prepare your samples for optimal viewing and stunning photographs of what you would be able to see using a super high resolution microscope. Journey Into the Invisible is another captivating book which uses incredible images, some magnified up to 20,000 times, and fascinating facts to show and explain everything from how music comes out of a CD to how a fly sees. Pair these books with this easy-to-use, portable and inexpensive pocket microscope which has a 20x to 40x zoom and LED illuminator. Packed with eye-catching photographs and fascinating facts DK's First Human Body Encyclopedia is sure to captivate your child and stretch their knowledge. It covers every major body system as well as including information on, for example, allergies, body language and sleep. 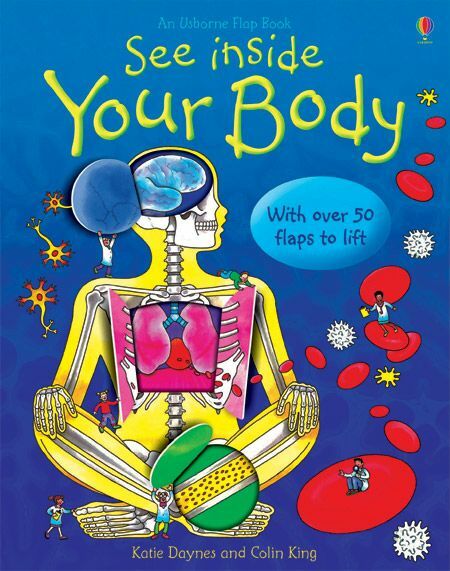 Another excellent choice for younger readers is the Usborne lift-the-flap book See Inside Your Body . Colourful illustrations and informative text tell your child all about the major organs of the body and there are over fifty flaps which your child can lift to reveal extra detail. Once they have read the books, your child can then really get to grips with how the different parts of the body fit together with the SmartLab Toys Squishy Human Body . Using forceps and tweezers your child can remove squishy vital organs as well as representative skeletal, vascular and muscular systems from the body model and then try to remember how to put them all back again. DK's Eyewitness book Fossil uses stunning photographs and detailed descriptions and explanations to help explain what fossils are and how they are formed. For the younger reader try Monster Stones which tells the story of how a hungry dinosaur on the search for food took a nasty fall and ended up on the river bed where his bones were turned to fossils. Find out how the fossils were discovered many years later and what happened to them. Once you have read these books let your child play at being a palaeontologist with the Smithsonian Diggin' Up Dinosaurs T-Rex kit. Dig out the plastic T-Rex bones which are buried deep within a sand block and then assemble them into a dinosaur skeleton. If your child is a budding engineer, they are sure to be fascinated by The New Way Things Work by David Macaulay. This brilliantly illustrated book gives a comprehensive description of how many things work from levers and pulleys to electricity and digital machines. For a personal account of one boy's struggle to bring electricity to his African village, The Boy Who Harnessed the Wind is also well worth a read. This captivating picture book tells the true story of how a fourteen-year-old boy built a windmill out of junk which helped to irrigate his family's crops and generate light. Once your engineer is ready to have a go themselves, they can get hands-on experience of electricity generation with the Thames & Kosmos Motors and Generators kit. With this kit they can conduct 25 experiments to learn how an electric motor converts electricity into motion, and how an electric generator converts motion into electricity. Another excellent David Macaulay book is Built to Last which gives a detailed, beautifully illustrated description of how three enduring buildings were constructed: a castle, cathedral and mosque. The exact buildings described are fictional but meticulous research ensures an accurate and detailed description of the building process from choosing where to build the building to how it should be designed and constructed. Thirteen of the world's most iconic buildings, including the Taj Mahal and the Chrysler Building, are described to children in 13 Buildings Children Should Know . As well as fascinating facts about the buildings and the architects who built them, there is also a timeline showing what was happening when each building was being constructed. After looking at these books your child will be desperate to start building for themselves, so get them started with a KEVA Contraptions kit. Supplied with nothing but identical wooden planks which are stacked against eachother without glue or connectors, you will amazed by the structures your child will be able to build using the included idea book for inspiration. Construct ramps, tracks, towers and tunnels for the bouncy KEVA ball to roll down. History-lovers will spend hours browsing the History Year by Year book which connects historical happenings around the world through a detailed timeline. The plentiful illustrations and short paragraphs of text ensure that even young historians will stay interested. Major historical events are covered in more detail in side boxes. Another engaging book about the people who made history is 100 People Who Made History . From inventors and explorers to leaders and artists, you can find out just what these people did to make them so memorable. A great game to test your child's historical knowledge once they have perused these books is the Timeline Historical Events Card Game . Each card features a historical event. Players have to place their cards in the correct sequence on the ever lengthening timeline of events without looking at the date of the event which appears on the back of the card. Then they check if they have placed it correctly. If not, the card is discarded and the player must draw another card. The first to place all their cards wins. Any aspiring chef would be thrilled to receive the Kids' Fun and Healthy Cookbook which contains over 100 recipes together with healthy hints and food facts to encourage your child to consider what they eat and how it benefits them. Another good buy is the easy-to-follow recipe book from Betty Crocker Kids Cook! It has over 60 simple recipes for breakfast, lunch and dinner as well as snacks and desserts. What better to pair a cookbook with than this wonderful Curious Chef cooking set designed especially for children. Curious Chef provide a whole range of real, functional, high quality and safe cooking tools for kids. In this set, as well as an apron, hat and oven gloves, you get cookie cutters, measuring spoons and cups, a mixing bowl, a rolling pin, a cookie turner, a whisk and more. The Boy Who Loved Words is a charming, lyrical picture book about a boy called Selig who is passionate about collecting words. If he hears one he likes he records it on a scrap of paper and stuffs it in his pocket. His classmates think he is odd and his parents worry about his future, but Selig decides that his purpose in life is to give out his words to those in need, for example a poet who lacks the adjectives to finish his verse and an old man who is invigorated with the word spry. Encourage your child to think up their own inspiring words and write a story with them using the excellent Usborne Write Your Own Story Book . 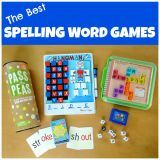 This activity book is full of tips and techniques to improve your child's writing as well as some great story themes to get them started. 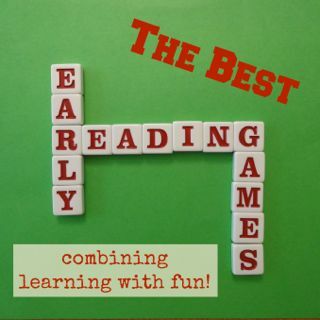 A fun game to pair with these books is The Storymatic Kids . This box is packed with 360 cards each containing a writing prompt, such as "hiccups" or "driver of an ice cream truck". Pick a few cards and then start to make up a story.